Sam Krasula of Wauseon with a base hit Thursday against Liberty Center. The Tigers scored five runs in the seventh to come back and defeat the Indians, 6-4. Wauseon’s Levi Krasula throws to first for an out during Thursday’s NWOAL game versus Liberty Center. Joe Shema of Wauseon smacks a two-run double to left field in the nine-run fifth inning for the Indians Saturday versus Ottawa-Glandorf. The Indians rallied back down 7-0 to beat the Titans 15-11. Sean Brock of Wauseon brings home a run via the sacrifice fly during Saturday’s game against Ottawa-Glandorf. 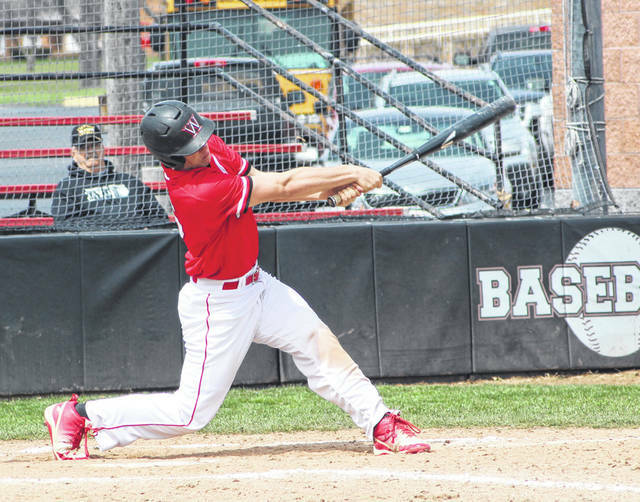 On a day that did not start in their favor, Wauseon registered a nine-run fifth inning to help them battle back for a 15-11 win over Ottawa-Glandorf in non-league baseball Saturday. The visiting Titans came out swinging, tallying four runs in the first and three in the second for a 7-0 lead through two innings. The big blow was a bases-loaded double by Logan Miller, clearing the bases in the second. Wauseon got right back into it in the home half of the third. They marked two when Sam Krasula drilled a single with the bases loaded. A Joe Shema RBI single scored another run, then on Trent Armstrong’s fielder’s choice to second base, two runs scored when the throw to first in an attempt to turn a double play missed the mark. O-G added a pair of runs each in the fourth and the fifth around one by the Indians, making the score 11-6 heading to the bottom of the fifth. Wauseon got its first run of the fifth on a RBI single from Armstrong. Levi Krasula forced in Shema with a bases-loaded walk, Kolton DeGroff drove in two more with a double to left field, and Sam Krasula knotted the score, 11-11, when he was hit by a pitch with the bases still full. DeGroff, a sophomore, also earned the win on the mound as he pitched four innings in relief, allowing four runs on six hits with three strikeouts. Still hitting in the fifth, a ground out by Sean Brock scored DeGroff to put the Indians in front by one, then Shema banged a two-out two-run double to left. After O-G switched to their fourth pitcher of the game, Levi Krasula again walked with the bases loaded for the final run of the game by either team. 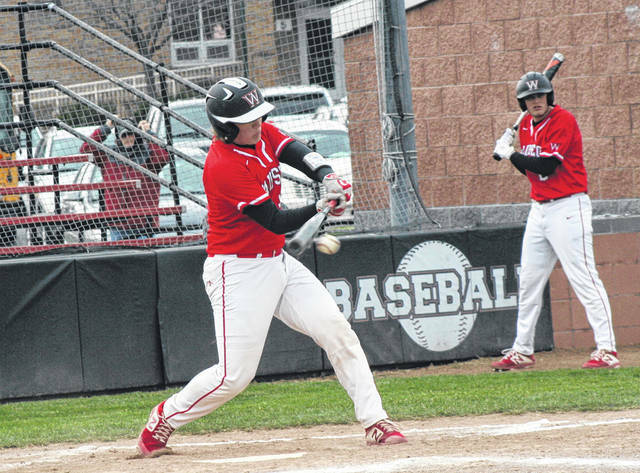 Wauseon nearly went through the order twice in the inning, plating nine runs on four hits with six walks. DeGroff drew a double play to strand a leadoff single in the top of the sixth, then Thomas turned to Penrod to finish off the Titans in the seventh. He did not disappoint, striking out the side to cap the win. 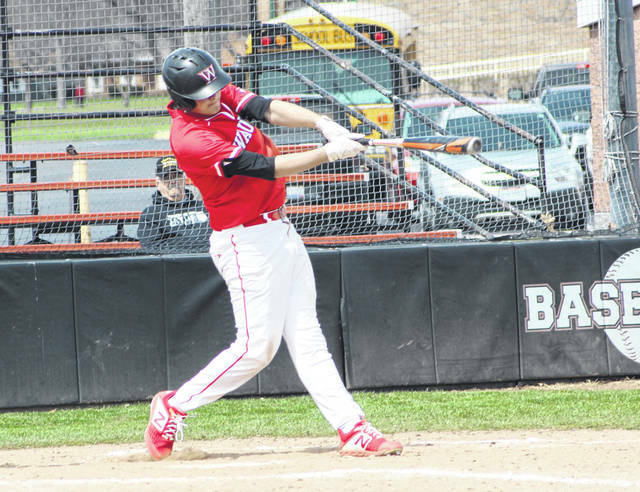 Sam Krasula (2 for 4), Shema (2 for 3) and Armstrong (2 for 4) each had three runs batted in to lead the Wauseon offense. Miller finished 4 for 4 with five RBIs for the Titans. 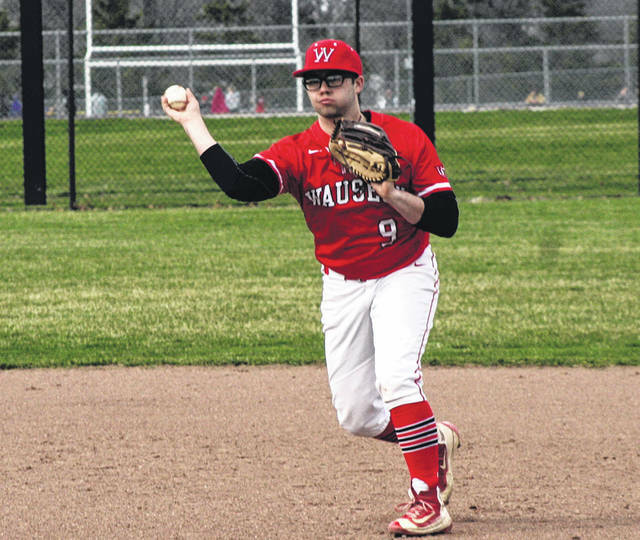 The win left a good taste for Wauseon to end the week after falling 6-4 to Liberty Center in Northwest Ohio Athletic League action Thursday. Wauseon (6-6, 1-1 NWOAL), after visiting Delta Monday in league play, travels to Perrysburg on Tuesday.